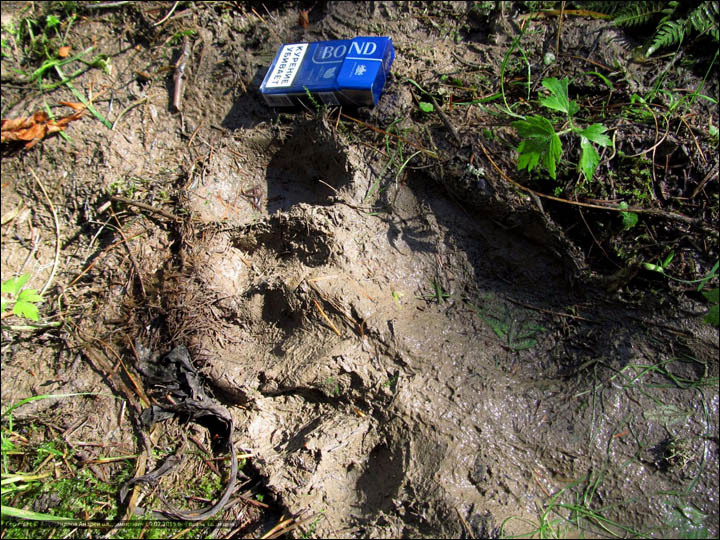 The alleged footprint - twice the size of a man's - was spotted close to the Mras-Su River in Kemerovo region, Russia's main area for alleged Yeti sightings. Denis Alexandrov, 12, saw the giant's mark as he wandered around his campsite with other children early in the morning. The boy asked his father Andrei, 49, for a camera, saying he had found an 'unusual footprint'. Andrei said that until now he did not believe in Yeti, but he has changed his mind after inspecting what his son had found. He described the print as being 'from the ring finger to the elbow of an adult', or twice the size of his own, but resembling a human foot. The father, from Novokuznetsk, took more pictures of the print and pinned the location - which is in the majestic Shorsky National Park - using GPS. This drenched the ground but by morning the rain had stopped, he said. It is the second recent alleged Yeti event in Kemerovo this summer. Kemerovo artist and sculptor Andrey Lyubchenko drew a picture of a Yeti that he claimed to have met while out walking in the early morning on 27 July. 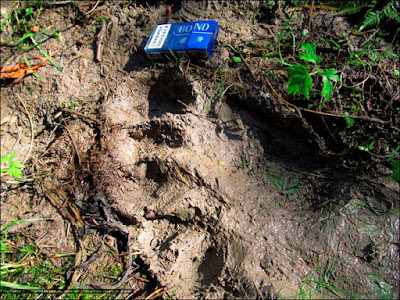 The footprint 'discovery' by Denis was three days later on 30 July, but details of it have only now emerged. His 'sighting' was close to Chernukha mountain, he said. This Yeti - or Big Foot - likewise had.....big feet, some 46 cm in length, or 18 inches. Russia's best known Yeti hunter Igor Burtsev - head of the Russian International Centre of Hominology, based in Kemerovo region - has previously estimated that as many as 30 Yetis roam this part of Russia. 'We are on the brink of finding the Yeti at long last,' he said in 2011. Another academic claimed the following year there were 200 in southern Siberia. 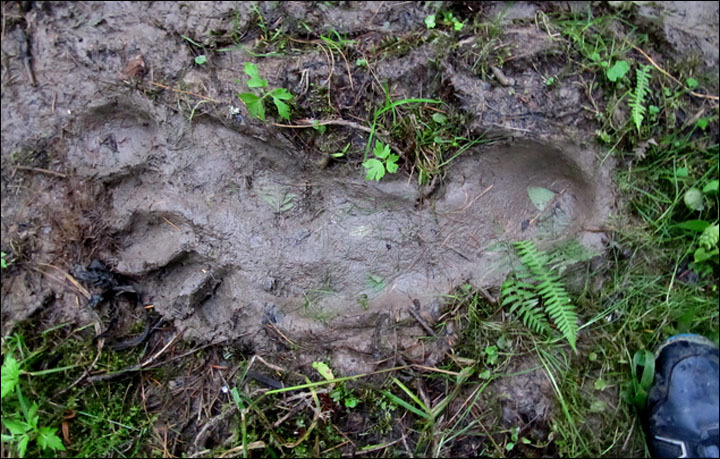 However, many sightings or finds of 'Yeti hair' or footprints have been disputed by other experts who say the creature is mythical, and point out no remains have ever been discovered. In 2013, Professor Bryan Sykes, of the Wolfson Institute, in the UK, analysed three samples of suspected "Yeti hair" from Kemerovo region. They were found to belong to other animals. His DNA tests established that the hair was from a horse, a racoon and an American Black Bear. The latter two are not native to Russia.- Yeti again!